Fun for year-round display! 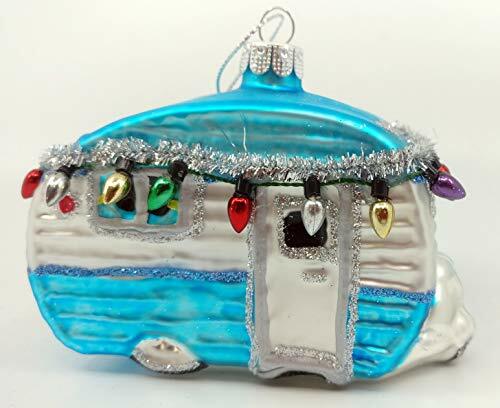 Airstream-type RV Camper Trailer glass ornament with light bulbs, garland and glitter. Fun accent piece for your Christmas Tree. Classic Christmas Tree Ornament with Amazing Details. Beautiful ornament especially for campers or anyone loving the nostalgic airstream line of trailers! Made from hand-blown glass with unique hand decorated accents. Fabulous fun for you or your favorite campers!